We’re starting a new series here on our Community News where we talk with a winner of a Duty Post award from our recent 2018 Awards Ceremony. Our goal is to give you insight into how our fleet’s best simmers write, and imagine their characters. This month’s interview is with the writer behind Ens. 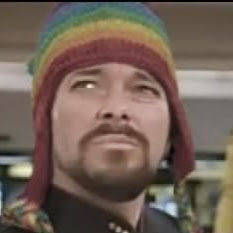 Edward Spears playing a human male assigned to the USS Constitution-B. He won the Prantares Ribbon in this year’s ceremony. WOLF: Winning a Duty Post ribbon as an ensign is quite an achievement – congratulations! I’d like to hear more about the writer behind the character – where in the world do you hail from? SPEARS: I’m deeply honoured to have received this award after such a short tenure in the fleet. I am a Canadian, and have had the privilege to live in a few different parts of this country thanks to my service in the Royal Canadian Air Force. I’m currently residing in Northern Alberta, but grew up on the West Coast, and still consider that home. Captain Rajel, in the presentation for your award, said that you’re not in the medical profession in real life. Was there an inspiration for this medical character? Perhaps a Star Trek character, a doctor from a medical drama, or maybe even a real life doctor? I draw inspiration from many sources. I grew up watching and loving Star Trek: The Next Generation and always found Doctor Crusher to be an admirable example of a physician. I also watched M*A*S*H when I was younger, and found it powerful that they could mix humour into such serious situations. I try to apply some of that same humour when I write. What’s been your favorite part about simming a medical officer so far? It’s something far removed from what I do during my day job, and that gives me great pleasure. It’s a position that allows me access to every other member of the crew regardless of rank or duty post, and it’s one that allows me to get involved in most aspects of the mission. Capt. Rajel and other people who nominated you for this award praised your attention to detail, and mentioned your sim of a detailed surgery that included recovery time. Where do you go to learn more about writing for a doctor to dive into these kinds of details? I love researching and looking up medical terminology, and procedures from both modern medicine and Star Trek, then incorporating that into my sims. I think there’s more to medicine in Star Trek that simply waving a magic wand to fix the patient. I like to explore that. I will admit that wikis are my go-to source for medical information, but sometimes I will look for dedicated professional medical journals to try and capture the feel of how real physicians communicate. You’re currently playing the second medical officer on the Constitution. What’s that been like, and how do you carve out your unique position in sickbay? It’s been fantastic writing as one part of a pair of medical officers, especially since they are such different characters personality-wise. We often have excellent in-character moments where the youthful optimism of my character contrasts or even clashes with the experienced, more cynical CMO. Despite the differences, we make a heck of a team when the chips are down. What advice can you give to other medical officers in the fleet who are striving to sim realistic characters? It doesn’t take much to add some medical realism. Adding a few lines of prose to outline a procedure or condition, or even adding some dialogue to give a patient a feel for what’s going on can really add that spark. And doing that extra bit of reading can really help expand the medical officer’s toolbox when it comes to jargon and ideas for procedures. Thanks for your time, Ensign Spears! You can read more about Ensign Edward Spears on the wiki.